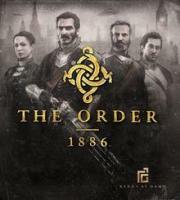 The Order: 1886 introduces players to a unique vision of Victorian-Era London where Man uses advanced technology to battle a powerful and ancient foe. As Galahad, a member of an elite order of Knights, join a centuries-old war against a powerful threat that will determine the course of history forever in this intense third-person action-adventure shooter, available exclusively on the PlayStation4 system. Having played this game three years after it's release and checking it out from a library, the short length didn't bother me and I enjoyed my time with the Order. I would definitely play a sequel if it got one. I enjoyed the characterization and story as well as the general setting. The werewolf knife fight was pretty badass. While not nearly as bad as some perceive, The Order: 1886 seemed more like a tech demo for the PS4 rather than triple A title. Beautifully the most impressive game on the 8th Generation to date, and its movie like cut scenes tries to draw you in and make you care, unfortunately I don't think many did. The game mechanics were bland, but solid. However, did nothing to standout amongst the competition, and it's extremely short length left much to be desired, especially for day one purchasers.